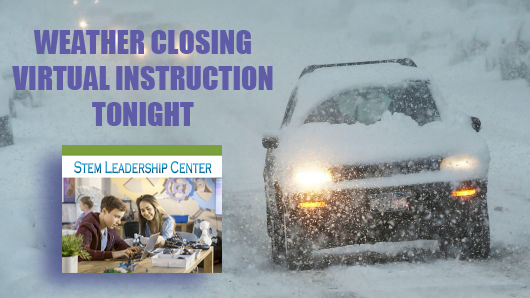 WINTER WEATHER CLOSING: January 30 and 31 we are following area educational protocols by closing our STEM Leadership Center Brick and Mortar doors – but we will meet online. All currently enrolled students will receive a link to log in at 5:55 pm both evenings. We hope to see you then.